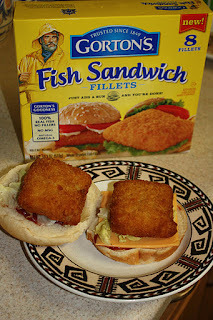 Food Adventures of a Comfort Cook: A Tale of Two Fish Sandwiches. 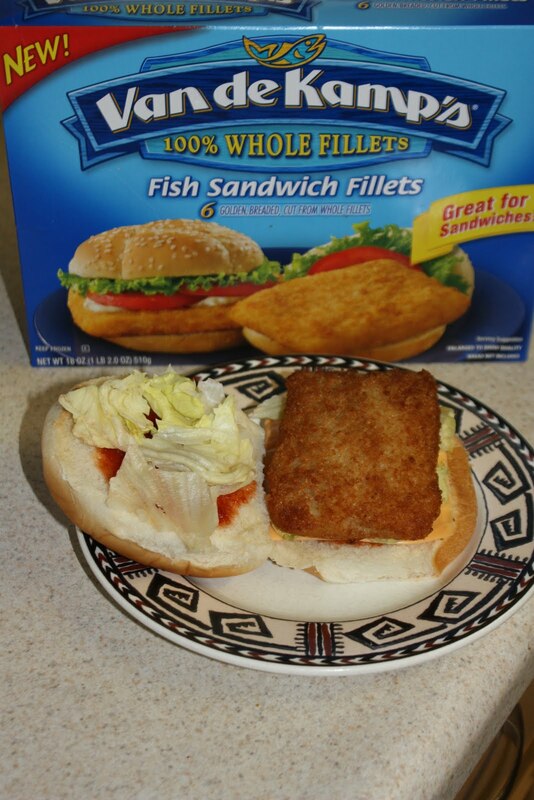 A Tale of Two Fish Sandwiches. This is the tale of two seafood companies that provide frozen products to the public; the yellow box of the fisherman versus the blue box of the golden outlined fish. Inside the yellow box of this fisherman you'll find eight frozen Alaskan Pollack squares (2 3/4" x 2 3/4") at 150 calories each. At 425F they will cook anywhere from 18-22 minutes (mine took 20 minutes) and reduce to a size of 2 1/2" x 2 1/2". The fish is moist and flaky with a mild flavor while the crunchy coating does not overwhelm. You can see the layers of the fish, so when the box says it is a cut fillet, you can see it. While regular hamburger buns are 3 1/2" round and sandwich buns are 4" round, these little squares would fit better on slider buns which are 2" round. 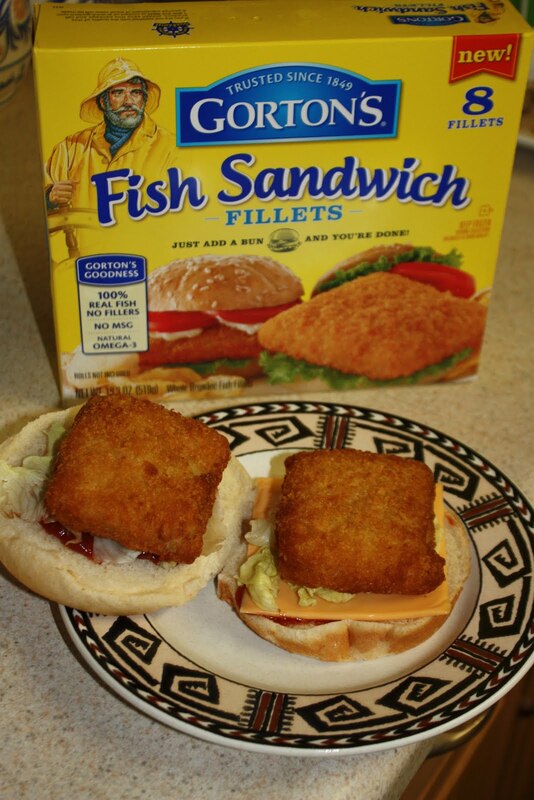 Looking at the picture on the box, a slider bun was most probably used to depict the fish fillet edges extending over the bread. Inside the blue box with the golden outlined fish at the top you'll find 6 frozen Alaskan Pollack rectangles (4" x 3") at 190 calories each. At 425F they will cook anywhere from 28-30 minutes (mine took 30 minutes) and reduce to a size of 3 3/4" x 2 3/4". Upon taking a bite, you can smell the fish, but it is not easily seen; no flaky layers, it looks minced, but the box states it is a cut fillet. The coating is crunchy, but has an oily sheen and tastes oily; not a pleasant eating experience. Overall conclusion, while the Gorton's Fish Fillets are smaller than Van de Kamp's, it is greater in taste and value. Sail on with the Gorton's Fisherman, he knows what he's doing.